Elegant strapless bridesmaid dress, also great for pageant and informal wedding. Shown here in white but comes in an array of color combinations. 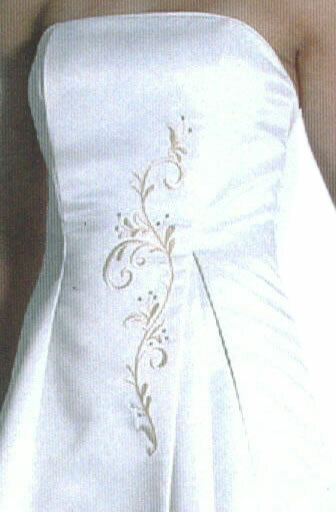 Straps included, satin emrboided design along hip, accented with clear diamond rhinestones. Matching bridesmaid shawl included. Stunning bridesmaid dress goes all the way up to size 8X!